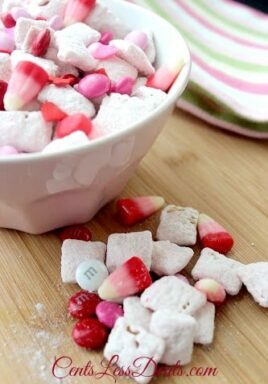 This recipe for Strawberry Muddy Buddies was something I thought might be interesting to try. It’s definitely something I had never heard of. I was so surprised with how delicious this is! 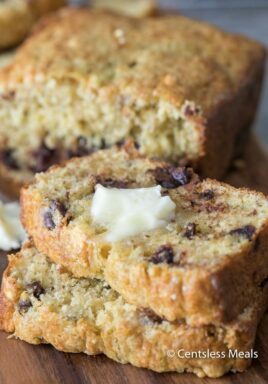 I let my kids help make it and they loved eating it as much as they did making it!! 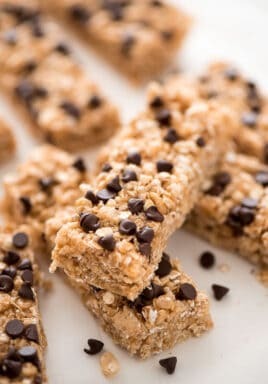 That was a great snack and something everyone should try! Be sure to “pin it” to save it! 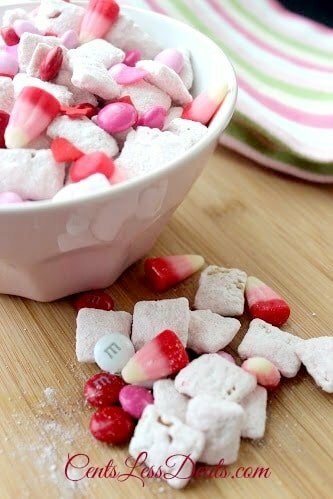 Delicious, quick and easy to make, these strawberry muddy buddies are going to be a new favorite! Next Post » Homemade Butterfinger Eggs with only 3 ingredients!! 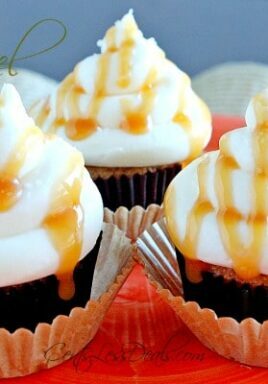 These look sooo yummy! My girls love Muddy Buddies!